Being kind and serving another individual is one of the most important things you can do each day. 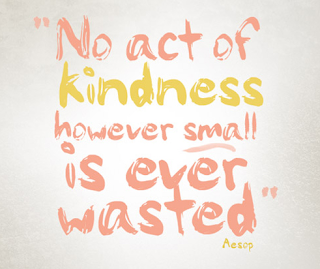 Even if the act is small, it is never wasted. It can affect another individual in countless ways and impact their entire life. There are opportunities all around us to serve and help build others up. We should do all we can to be kind to everyone we know, even those we meet on the street. Don't let the chance to be kind and help others pass you by. Grab those opportunities when they are handed to you.